It was 38 degrees (about 3 C) this afternoon and my daughter walked all the way home without her coat, hat or mittens. She insisted "It's way too hot for my coat!" 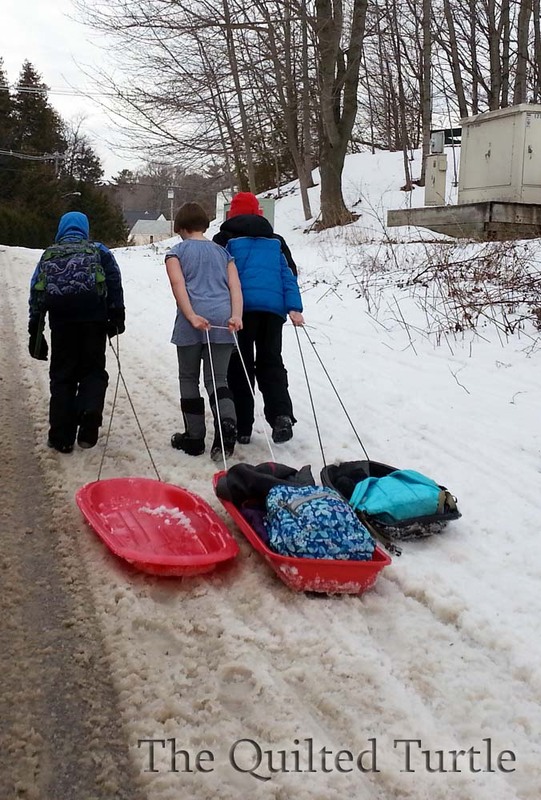 If you're wondering about the sleds, lots of island kids take sleds to school to use at recess. 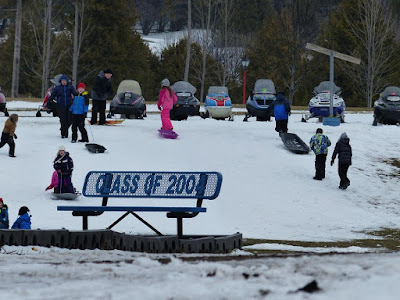 Our kids go outside for lunch recess virtually every day. I love that they get to go outside almost every day! My kids hate indoor recess! Brrr....I can go out in 38 degrees with a long sleeve shirt...and a thick sweater....but not in short sleeves! Tough island girl! 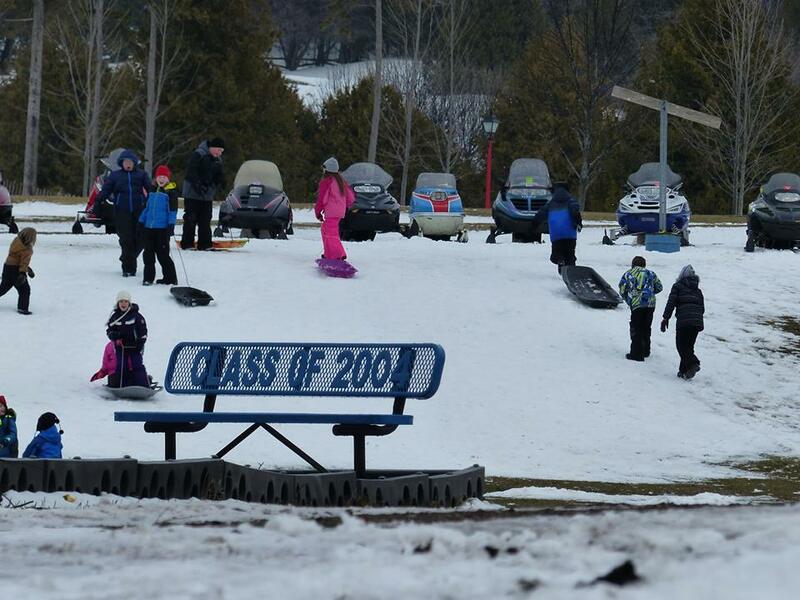 I imagine there are a few decent sliding spots around the island.